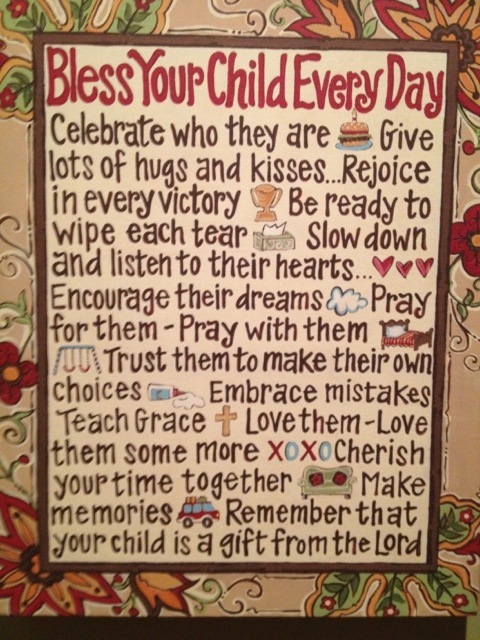 I have this great reminder hanging in my house. It’s perfect for the days I am just not up for the hoopla of 5 kids and all that goes along with that. Slow down and listen to their hearts. What about you? What line in this poem makes you cry or sends your arm hairs to the sky when you read it? I’m a mom of 4 (with a surprise #5 on the way) and have this exact portrait on my wall. One day at a time! What a blessing! You are going to have so much fun. Enjoy every moment. My youngest is 5 now and I cannot believe how his life has flown by. Thank you for visiting my blog. I think you met my husband Jeremy at Dave’s with Meg Meeker? My favorite line…make memories! I also like cherish your time together! Great reminder!